Well, I guess there has to be that setup episode that leads us into the midseason finale. 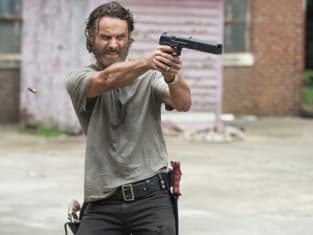 The Walking Dead Season 5 Episode 7 was necessary to pull everything that’s come in The Walking Dead Season 5 back together towards its new central focus, its new central direction. And while it touched on every group rather than just one per episode, the overall hour just left me relatively indifferent. It came. It went. And I’m more interested to see The Walking Dead Season 5 Episode 8. The thing is, it did what it was supposed to in preparing and moving around the pieces for the showdown against Rick and the survivors against Dawn and her hospital crew. And there were some good moments that came from as a result. I actually liked seeing Sasha not fully moved on from Bob. While we didn’t get the lengthiest relationship between those two, there was enough to see how Sasha might not have quite been able to push that aside. So I was glad that Tyreese tried to instill that hope and positive side of Bob for her rather than focusing on the fact that he was gone. That hug between the two was a nice touch. Of course, having the one “cop” have the name Bob also suckered her in and unfortunately led to the fake out. I felt like I saw it coming, but it was understandable in wanting to trust him, especially after her talk with Tyreese and Noah vouching for him. What’s more, the survivors, for all the terrible experiences and depressing moments, still have managed to hold onto that hope. Daryl, who was nearly choked out in between chomping walkers, managed to use the grossest weapon possible to get control of his fight, but even he was telling Rick not to kill the person who just tried to kill him. I actually believed Rick was capable of doing so, but there was something to be said for the survivors simply just wanting to get their people back, not start a massacre. That’s really the question that I have going into the midseason finale. With hostages on both sides, will this be a speedy battle much like Terminus? Or will it last longer? I always wish everyone could just get along, but in the world on The Walking Dead, that’s just never going to be the case. And I’m with Rick and the survivors so, sorry Dawn – your team’s got to go. Guess we’ll see how that plays out next week. But really, the hour was just setting things up for a big event before going away for what will feel like forever. Even having Abraham and his group in focus didn’t do much more for their area. There was some fishing and Abraham doing his 'stare off into space' thing. Though, I’ve got this feeling that Eugene coming to might not be the happy direction for them. We didn’t actually see him wake up, right? Carl wanted to help Father Gabriel become machete-chopping Father Gabriel, but he wasn’t having that. He wanted to run away, and frankly (though I feel like he’s not going to far) I would have been OK if he disappeared into the sunset. He’s been such a weird character that I haven’t been really invested in wanting to see more adventures from him. But who knows. Maybe I’ll wind up loving his character three seasons later, much like I’m a huge fan of Carol (who better not die this season!). I wasn’t wowed by this episode, but it wasn’t at all abysmal. It did what it was supposed to in preparing us, the characters and the story for its midseason finale. I'm just ready to move forward. So bring on The Walking Dead Season 5 midseason finale. Let’s hope it’s a good one. What did you think? Are you ready for the midseason finale? Will someone die? Sound off below and watch The Walking Dead online to catch up on the latest episodes. Get a look below at The Walking Dead Season 5 Episode 8, "Coda." 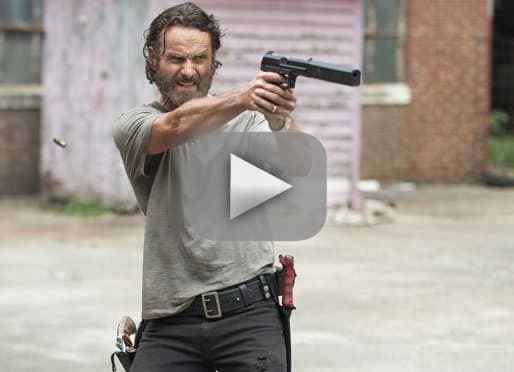 The Walking Dead Review: Mission... Impossible?